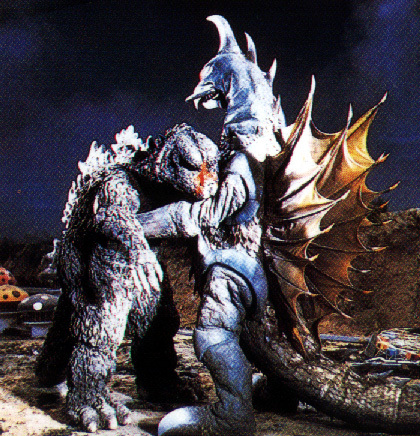 If you have been following Kaiju Kommentary over the last few weeks, then you already know that the Godzilla series had a bit of a tough run following one of its better entries,Â Destroy All Monsters. After a lazy cash-in and an oddball cinematic drug trip, the series sought to return to form with director Jun Fukuda’sÂ Godzilla vs. Gigan, which reintroduces the tried-and-true alien invasion plot, and even brings back King Ghidorah to team up with a snazzy new kaiju. The film is unable to capture the magic of Godzilla’s mid-60’s outings, but its high camp value makes it a very entertaining film nonetheless. The human protagonist this time around is a cartoonist named Gengo, who is focused on creating a hot new monster that will make him rich and famous. With ideas such as the “homework” and “too-strict mother” monsters, it’s clear that Gengo is a bit of a hack, but that doesn’t keep him from being hired as a concept artist by a group of shady men representing a new theme park called Children’s Land (what is it with Godzilla films and sinister theme parks?). With their odd behavior and attire (all orange, all the time), it’s ridiculously obvious that the park’s executives are evil aliens in disguise, but dimwitted Gengo doesn’t catch on until he runs into a woman who is being chased by the park’s security guards. The woman explains that she and her brother discovered the Children’s Land executives’ scheme to take over the planet by using two mysterious “Action Signal Tapes,” but her brother was captured during an attempt to infiltrate the park’s central tower.Â She convinces Gengo to help her and her grungy hippie accomplice sneak into Children’s Land to rescue her imprisoned brother, but not before the three of them awkwardly snack on bananas for several minutes in a scene laden with unintentional innuendo. This all leads to one of the most inexplicably bizarre moments in the entire Godzilla series. Upon hearing the strange frequencies emitted by one of the Action Signal Tapes, Godzilla and Anguirus (who are on “Monster Island,”) beginÂ speakingÂ to one another, trying to figure out what the noise might mean. Their dialogue appears as text in word bubbles in the Japanese version, but they are given unsettling, garbled voices for the English dubbed version. 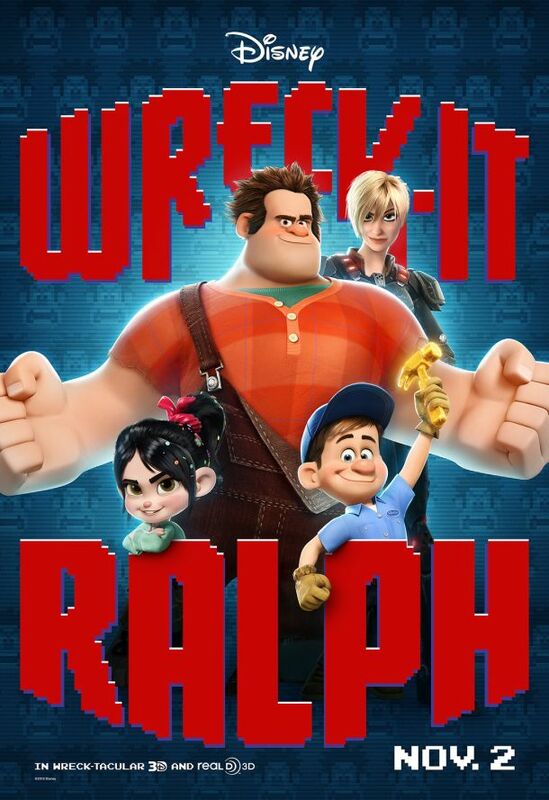 I can only imagine that the producers recognized how incomprehensible the plot was, and felt obligated to give the monsters a voice in a vain attempt explain their motives. While Godzilla and Anguirus swim to Japan to investigate the Action Signal Tape’s source, the aliens (who are revealed to be space cockroaches from Nebula M who wear the skin of dead humans!!!) capture Gengo and his friends, retrieving the stolen Action Signal Tape. They use both tapes to summon the cosmic monsters King Ghidorah and Gigan in order to wipe out all humanity and pave the way for a new era of peace on Earth. 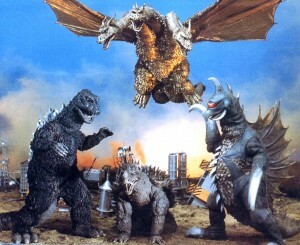 Godzilla and Anguirus arrive just in time to challenge the space monsters to a tag-team battle to decide Earth’s fate. 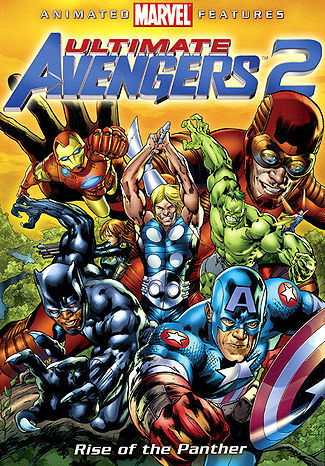 Strangely enough, the battle between the four monsters is where the movie begins to fall apart. Due to a very low budget, the filmmakers were forced to supplement the fight scenes with stock footage from previous Godzilla films. Unlike inÂ All Monsters Attack, the integration of stock footage is meant to blend in with the newly filmed content in order to extend the action sequences, but the results are rather embarrassing. There are a number of continuity errors such as night changing to day and back again in a matter of seconds, and the environment shifting between city and countryside. Aside from the tragic misusage of stock footage, the climactic monster battle is more or less what you would expect from a Godzilla film, and has a few stand-out moments. Cybernetic kaiju Gigan, with his trademark red visor, sickle-like arms, and buzzsaw belly, is one of the best-designed kaiju in the series, and the first of Godzilla’s adversaries to seriously wound his flesh. He and King Ghidorah, with assistance from a laser cannon built into the central tower of Children’s Land, pummel Godzilla and Anguirus nearly to the point of death at one point. 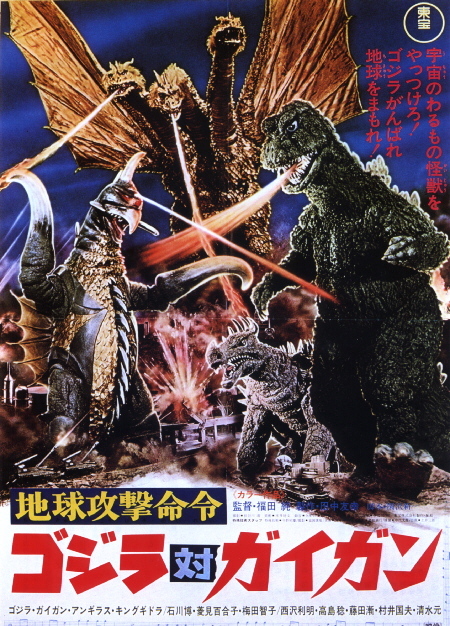 The tide is predictably turned with a little help from the human protagonists, and Godzilla uses his second wind to almost single-handedly send Gigan and King Ghidorah fleeing back to outer space. It’s sad to see the Godzilla series begin to rely so heavily on stock footage, butÂ Godzilla vs. GiganÂ certainly has its moments. It’s fun to see King Ghidorah one last time in this era of Godzilla films, and Gigan would prove to be a very popular villain, appearing several times throughout the series. 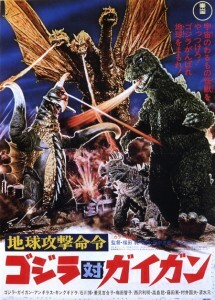 The misadventures of the bumbling human characters provide a good amount of unintended humor as well, and as is the case with most of the 60’s Godzilla films, I’d recommend watching the English dubbed version for the highest entertainment value. The series’ temporary bout of misfortune doesn’t end with this film, but it should please anyone who watches these films on an ironic level.